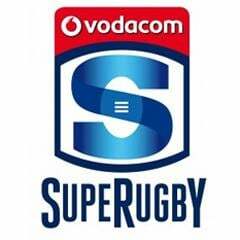 Cape Town - SANZAR has amended the kick-off times of two matches in Round 11 of this year’s Super Rugby competition. This was done to accommodate extended pre-game Anzac Centenary remembrance ceremonies. 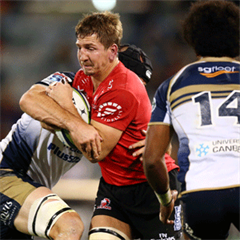 The Brumbies v Highlanders and Waratahs v Rebels clashes on April 24 and 25 respectively will now each kick off at 11:55 SA time - 15 minutes later than the originally scheduled time. Teams will enter the field of play simultaneously and line up for the Anzac remembrance that will include The Ode, Last Post, The Silence and The Reveille, along with the national anthems of both Australia and New Zealand for the five matches played in those territories, stirring passion and emotion immediately prior to kick-off. Back-to-back fixtures of Chiefs v Force and Brumbies v Highlanders on Friday, April 24 see the round commence with clashes on either side of the Tasman before a pair of key derbies take centre stage on Anzac Day. The Blues travel to Christchurch to renew their rivalry with the Crusaders before the Waratahs host the Rebels at ANZ Stadium in a battle between two traditional Australian foes who will vie for the Weary Dunlop Shield - a trophy bearing the name of a hero whose name resonates loudly throughout rugby and the armed forces. Matches involving SA teams in Round 11 won't be affected. The Lions host the Cheetahs on Saturday, April 25 (17:05), while the Stormers welcome the Bulls to Newlands (19:10). The Sharks will enjoy a bye.